Oh yes, apt weather to be listening to what we call Mextronics here in the office. No, this isn't the work of Mariachi bands grinding down to wired up trumpets, it's the work of Mexico's fantastically talented Fernando Corono, a man who first grabbed our attention with the release of his remarkable debut 12" for the Context label late last year. Murcof manages the impossible and injects an air of complete originality and freshness to an electronic genre that's in desperate need of electrifying. The engrossing blend of reduced 4/4isms and the tender use of violins, Piano's and an array of accoustic instruments provides the album with the base elements from which it extends itself to grab hold of your mind for hours on end. Context favourite 'Memoria' opens the album with a haunting violin line that almost posesses a lost, Hassidic, Shtetl atmosphere that by way of inspired anachronism fits perfectly atop the sonically impeccable 4/4-driven hazy percussion. This is the kind of soundscape-driven album that shines by way of not being easily comparable to the music of any other producers working within the electronic field, or any other for that matter. 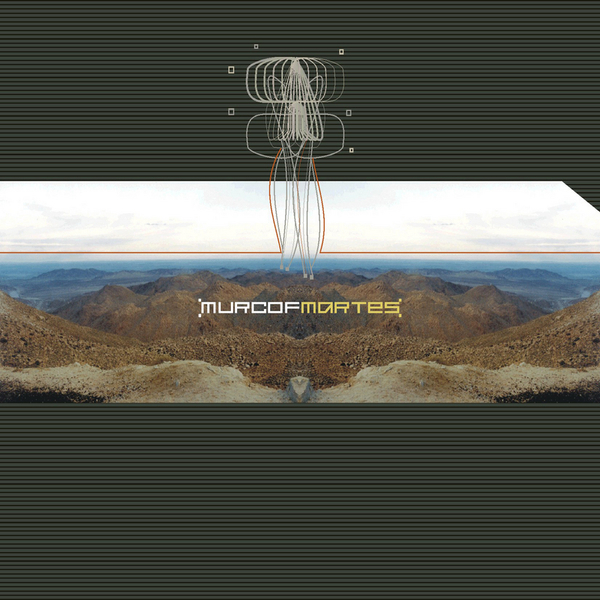 Murcof's greatest achievemnt lies not only with his ability to have thought-up a sound concept that hasn't been attempted before, but moreover with the unbeleiveable success he's had in converting concept to sound. This is a remarkable debut album from a remarkable artist - an essential purchase.